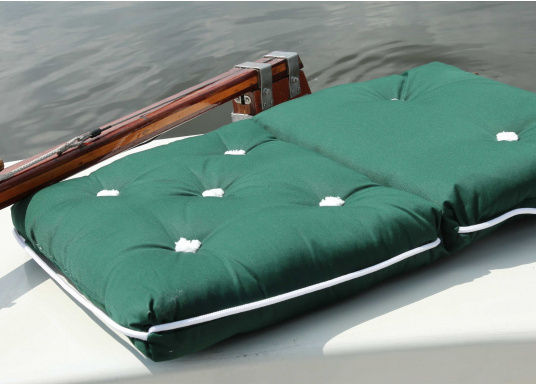 Floating seat cushion with kapok fiber filling. Cover 100% cotton. €24.95 Incl. tax, excl. shipping. 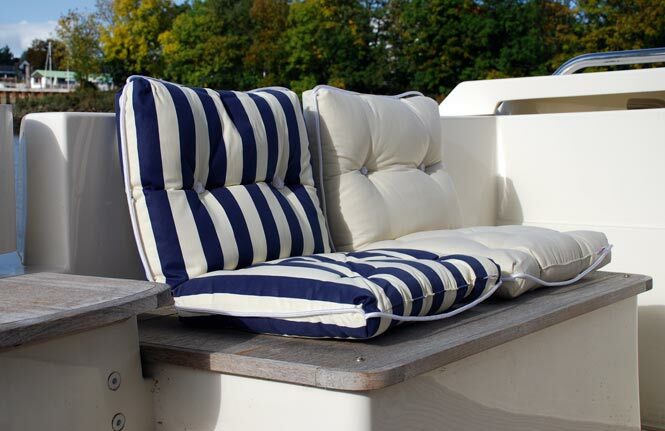 Floating seat cushion with kapok fiber filling. Cover 100% cotton. 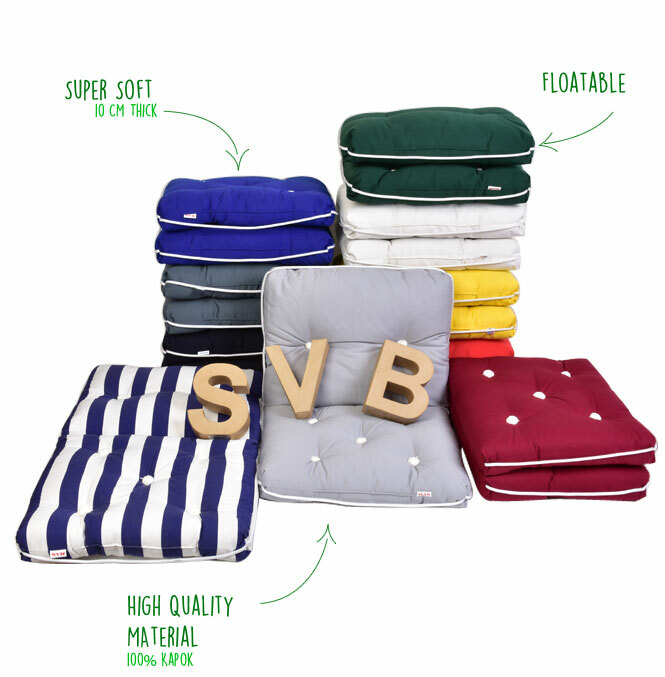 Double or single cushion available in different colors. 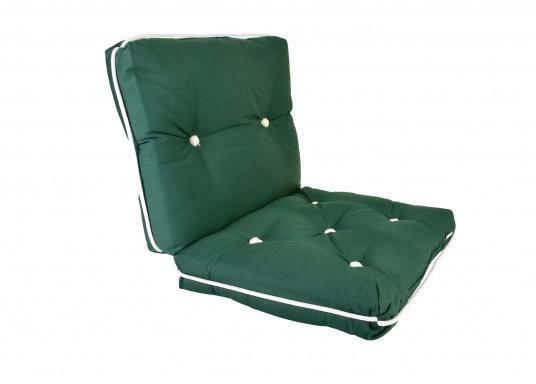 Dimensions of single cushion: 45 x 40 cm, dimensions double cushion: 80 x 40 cm. Thickness: 10 cm. 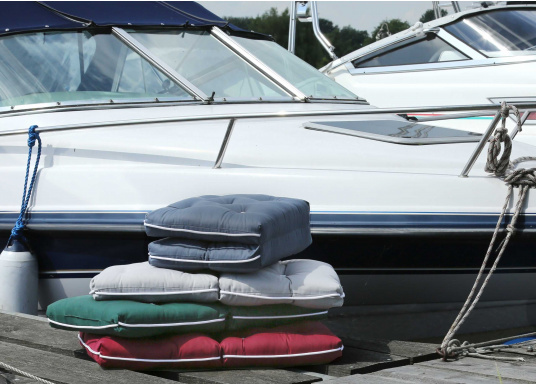 Water does not hurt the Kapok fibers, but especially machine washing is not healthy for these pillows. Since the Kapok fibers can break, it is recommended to avoid machine washing. Stains should be cleaned by hand wash only. In contrast to pillows with filling made out of grain, Kapok pillows are not supposed to be heated. Only wash hand warm. Great product, very easy to keep clean and very comfy. Very soft but still strong to handle. Fest im Sitz ,da gut befüllt und als Doppelkissen in zweierlei Hinsicht gut ( liegen und Sitzen).